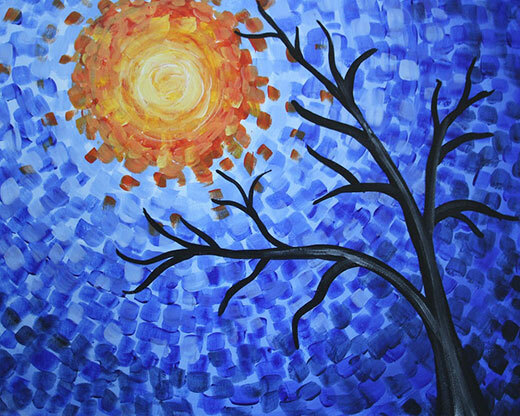 Paint a whimsical nature setting with a bright orange sun in cool blue skies atop an elegantly silhouetted tree. 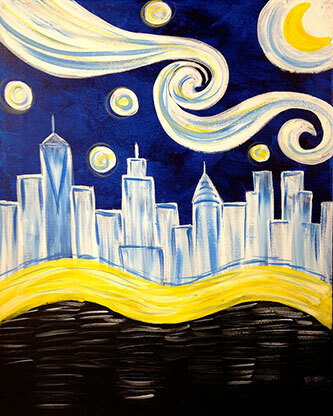 Embrace your inner Van Gogh with an enchanting Manhattan skyline inspired by Starry Night. 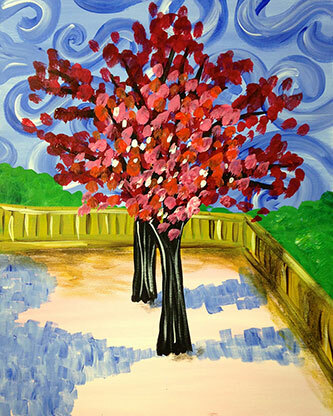 Reimagine Van Gogh’s beautiful blossoming peach trees with simple, sharp colors and a tumultuous sky. 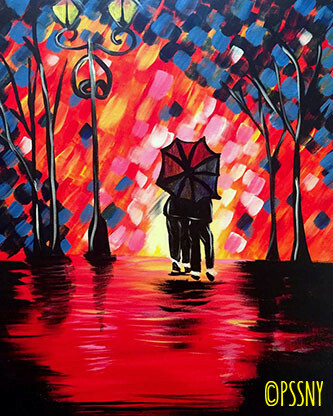 Take a romantic stroll under a shared umbrella with your loved one in a rain shower filled with bright, vibrant colors of red, yellow and blue. 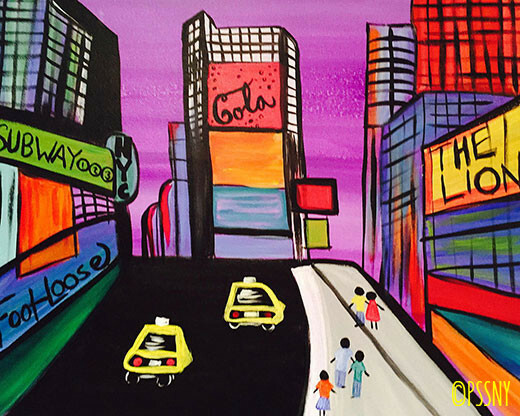 Escape to the big city while painting the heart and soul of NYC, Times Square. The purple, orange, red and yellow will make you feel like you are standing under the bright lights of Times Square! Become one with Van Gogh and escape to France where the magic began. 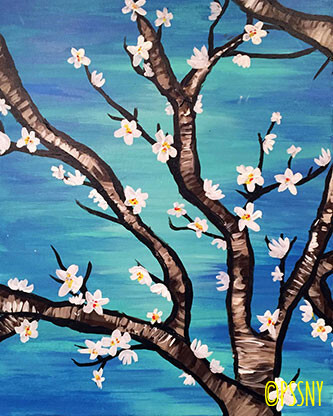 Paint the iconic Almond Blossoms with a beautiful blue sky against the crisp white flowers and dark branches of an Almond Blossom. Grab a drink, take a seat and join us for a one-of-a-kind adventure in art in our relaxed, studio environment, where experienced local artists will guide you step-by-step through creating a featured painting. 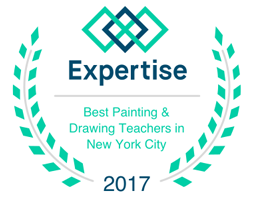 Perfect for beginners and aficionados alike, our classes offer a fun, easy, stress-free chance to create a painting you can be proud of — Cheers to that! Join us for ... Fun nights out, date night, birthday parties for kids and adults, private parties, special events, fundraisers, bachelorette parties, bridal/baby showers, team building & corporate events. Paint at your place or your location. Join our email list for updates on special events and promotions for our valued customers and friends.